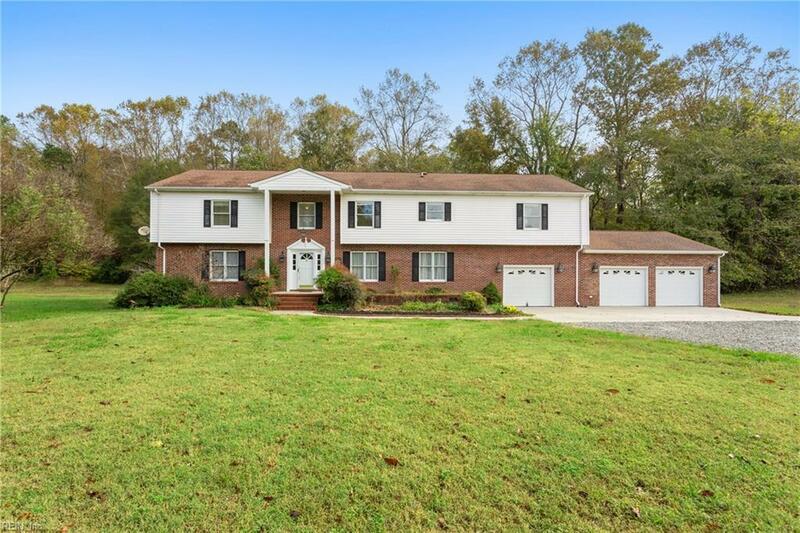 4761 Belroi Green Cir, Gloucester County, VA 23061 (#10225948) :: Abbitt Realty Co. Your Forever Dream Home Awaits! A must-see gorgeous property! Wake up to a view of horses and leisure! 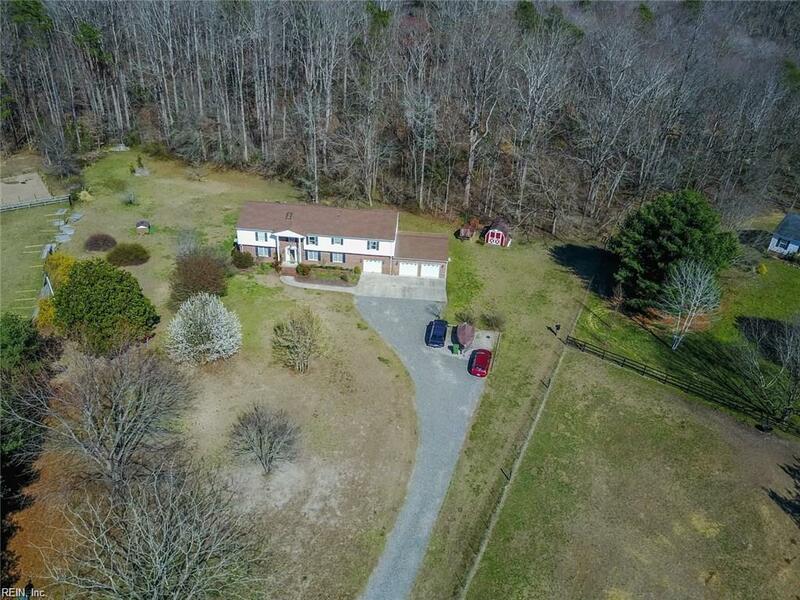 This 5 Acre property allows enough privacy while also not being too far away from local stores, shopping, gas, and restaurants. The home equates to nearly 4,000 square feet with spacious rooms! 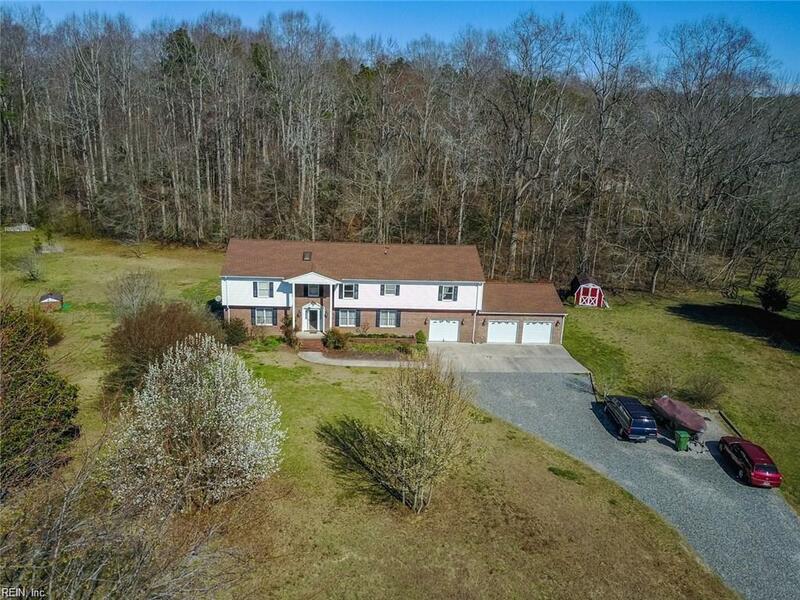 Features a downstairs study which could easily be used as an additional bedroom/in-law suite equipped with a half bath, closet, and back entrance. All bedrooms have walk-in closets and HUGE Master bedroom contains a full bathroom with a jetted tub. The over-sized kitchen has been updated with beautiful granite countertops. 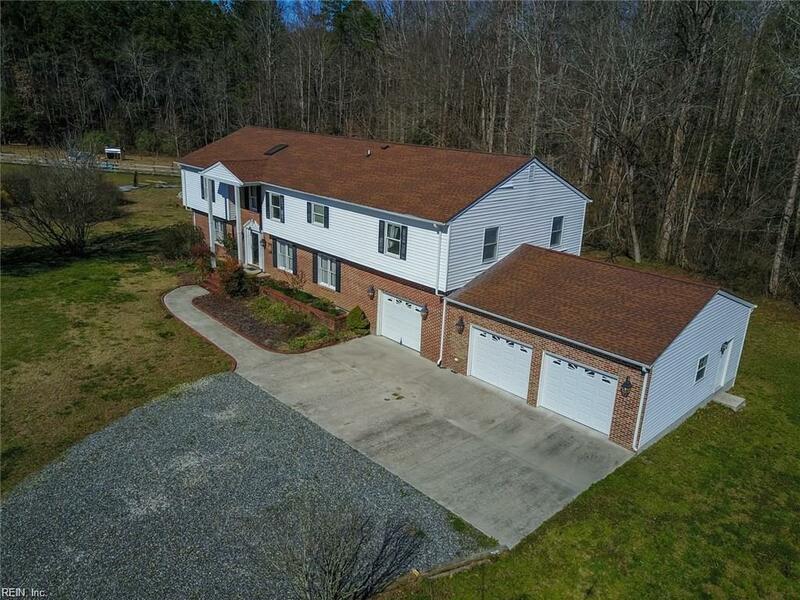 Be sure to check out the LARGE deck and spacious attached garage which can be utilized for multiple purposes. There are also vaulted ceilings, skylights, dual heat pumps (1st floor heat pump replaced in 2018), and a Dencor Power System. ARCHITECTURAL Shingles that can withstand 80MPH winds! Seller offering transferable Home Warranty with AHS.